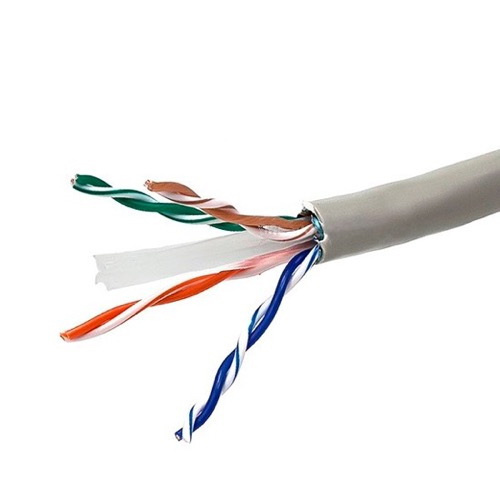 Omni Cable 23/4P CMP Plenum-rated Cat 6e data/voice cable has gray low smoke PVC jacket to withstand harsh environmental conditions. The Teflon insulation resists electrical leakage and offers protection against environmental threats. It has aluminum/Mylar shielding that reduces EMI/RFI interference/crosstalk. This cable has outside diameter of 0.223-Inch. This bare copper cable is suitable for high speed horizontal cabling, digital video, 100 Mbps TPDDI, 1000 Base T, 622 Mbps ATM, IEEE 802.3 and applications. Cable is ETL/UL listed and meets EIA/TIA 568, ISO/IEC 11801 standards.